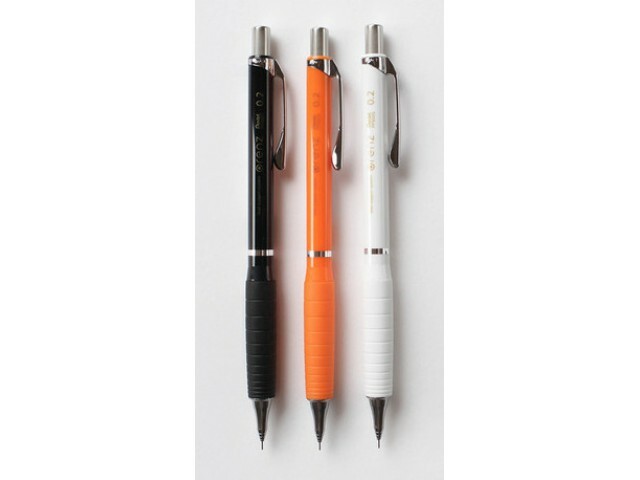 The Pentel Orenz employs a clever mechanism that prevents the lead from breaking. 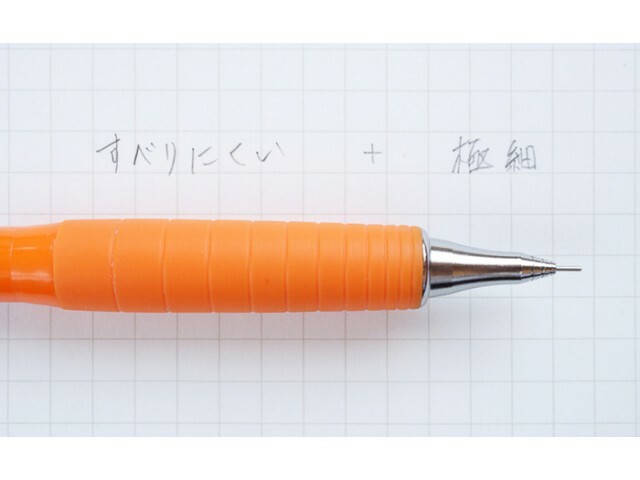 The steel sleeve only exposes enough lead to allow you to write. 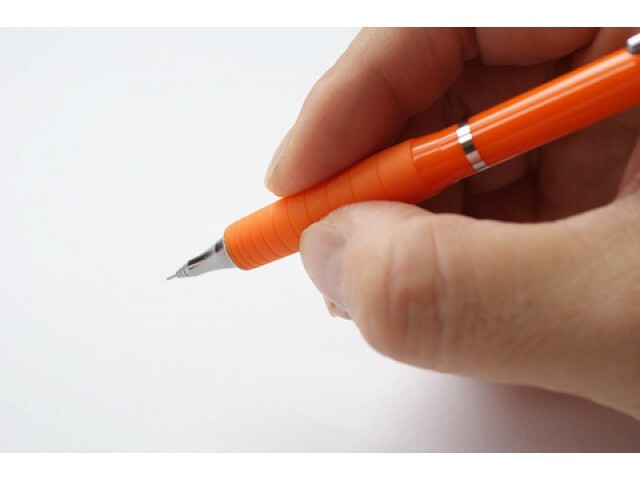 As you write, the sleeve retracts until it retracts all the way in, at which point, you press the top the pencil to release the sleeve. 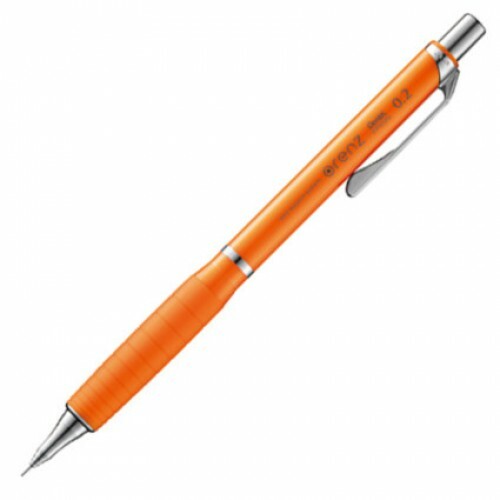 Since the lead is exposed very little at all times, it never breaks. 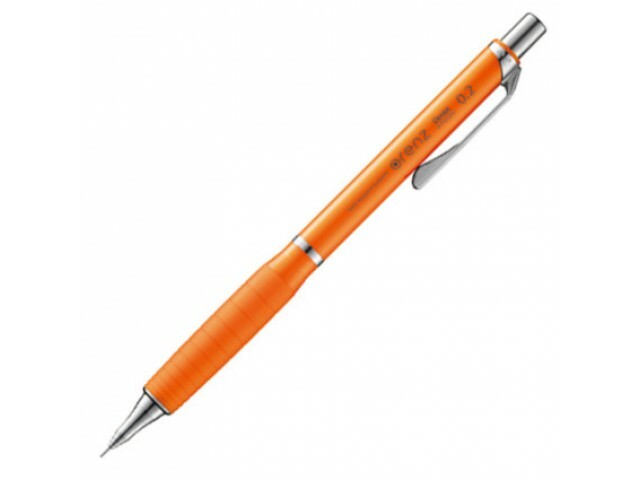 This innovative mechanism is perfect for the fine 0.2mm lead.